Astana took over the role of the capital city from Almaty (the largest city) in December 1998. Now, it is undergoing a transformation costing billions of dollars, where top international architects assist in trying to make Astana a worthy capital - not only of Kazakhstan but of all Central Asia. Thus, Astana presents an interesting and intriguing blend of old Soviet architecture with the modern designs of Norman Foster and the likes. Astana is growing, but still does not offer the comforts and thrills of its Western counterparts, or Almaty, but has its own charms and pleasures. 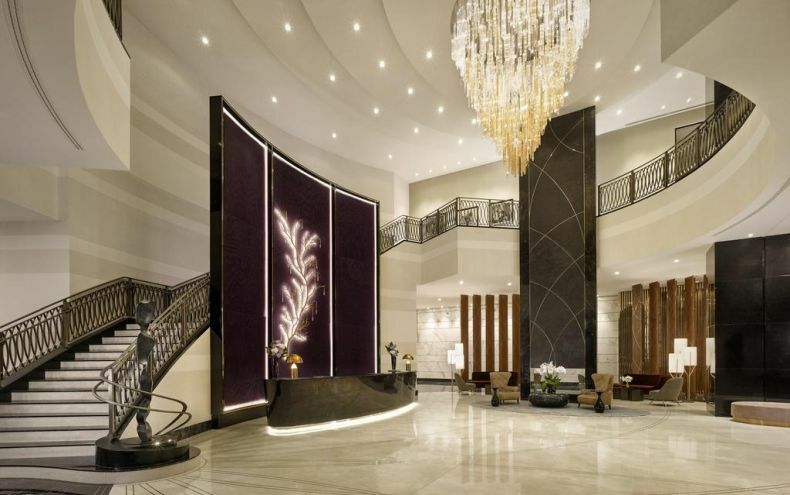 You can relax in the elegant lobby bar, or enjoy live music in the Irish Pub. Every room at this hotel is air conditioned and is fitted with a flat-screen TV, minibar and seating area. Certain rooms feature a separate living room and access to the Executive Lounge for complimentary drinks and snacks throughout the day. A private bathroom comes with a shower, hairdryer and slippers. Free toiletries are featured. There is a 24-hour room service at Hilton Astana. Other facilities include a business centre and a 24-hour fitness room. The on-site wellness spa offers massages, beauty treatments, saunas and a Turkish bath. 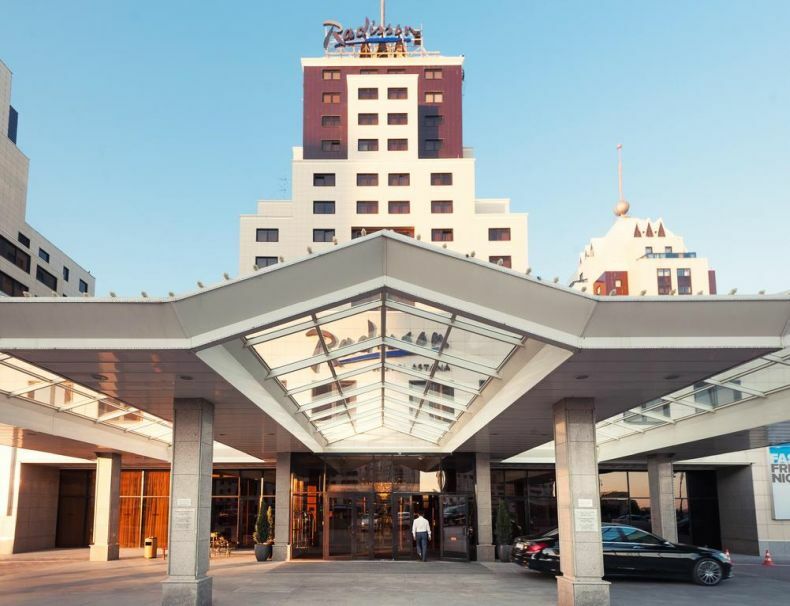 This 5-star hotel is located in the centre of Astana, just a minute's walk from Khan Shatyr Entertainment Centre. 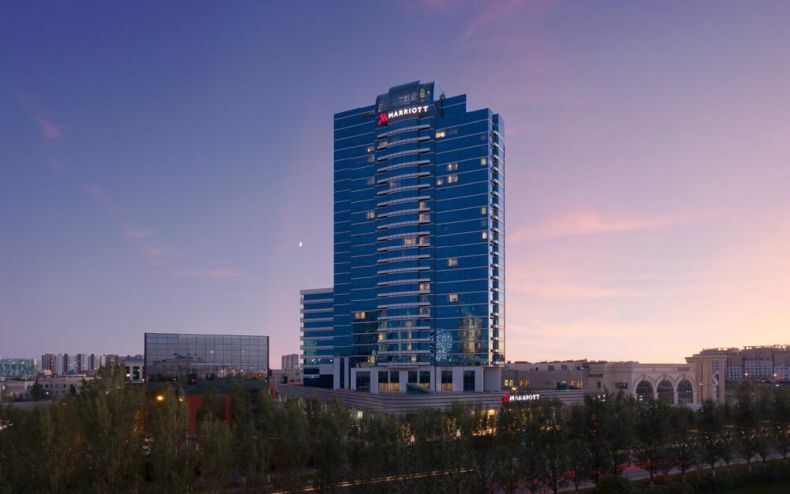 An indoor pool, a sauna and a gym are featured at Astana Marriott Hotel. Free WiFi is provided throughout the property. The elegant, air-conditioned rooms come with a flat-screen TV. The private bathrooms include bathrobes and slippers. The on-site Aroma Restaurant serves European cuisine, and Vista restaurant offers International dishes with an Asian touch. A variety of drinks is available at the lobby bar. 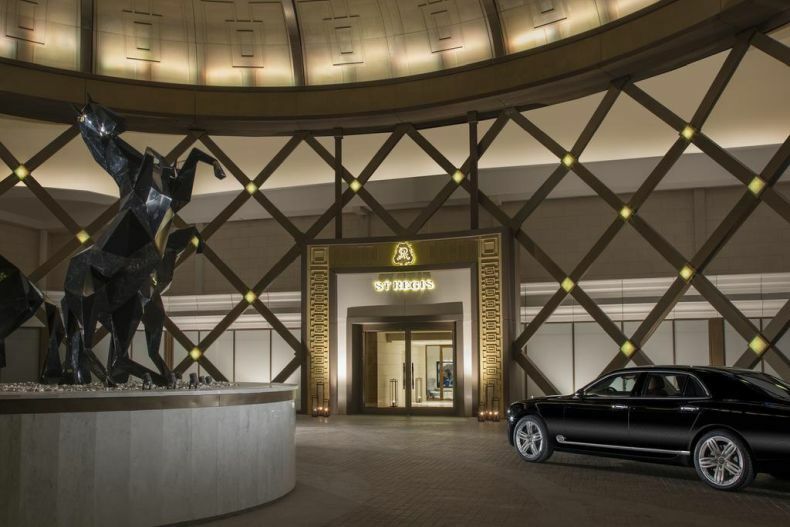 Radisson Hotel Astana offers an indoor swimming pool, a gym, a sauna, a Turkish steam bath and a spa centre. 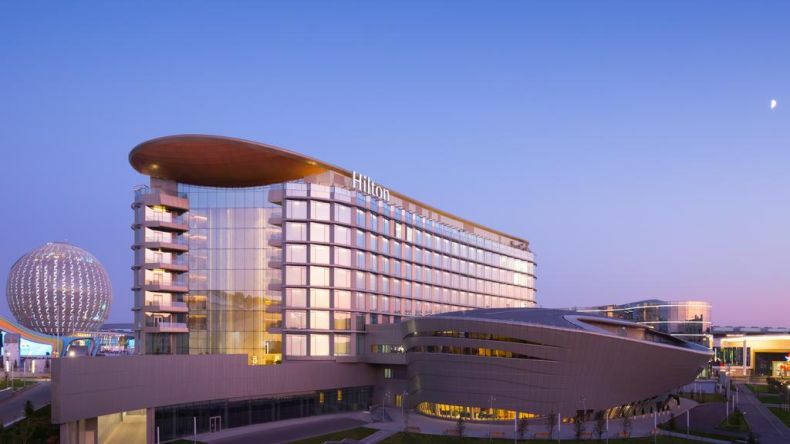 Centrally located in Astana, this 5-star hotel features a Chinese-style façade and a revolving top-floor restaurant with excellent city views. A stylish pool and free valet parking are also offered. 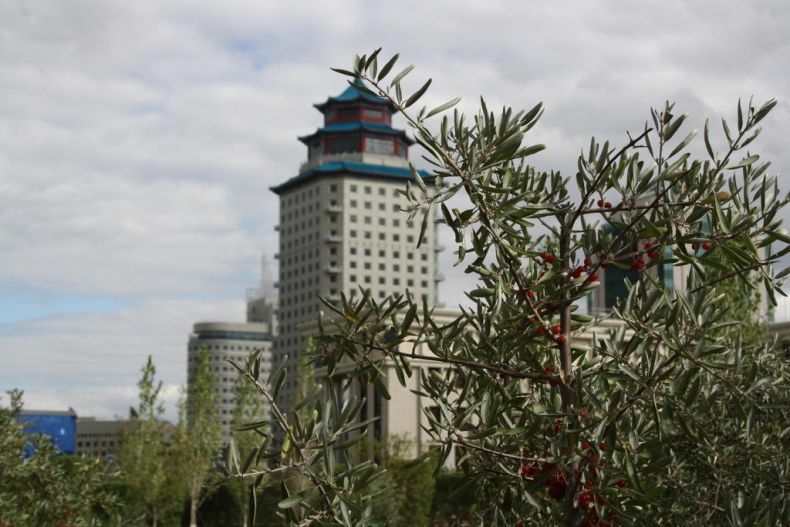 The soundproofed rooms and suites at Beijing Palace Soluxe Hotel Astana each include a flat-screen TV and seating area. Bathrobes and toiletries are provided in the marble bathrooms. The Great Wall restaurant serves gourmet Chinese cuisine, and European dishes are available in the Madonna restaurant. A light breakfast is provided every morning. 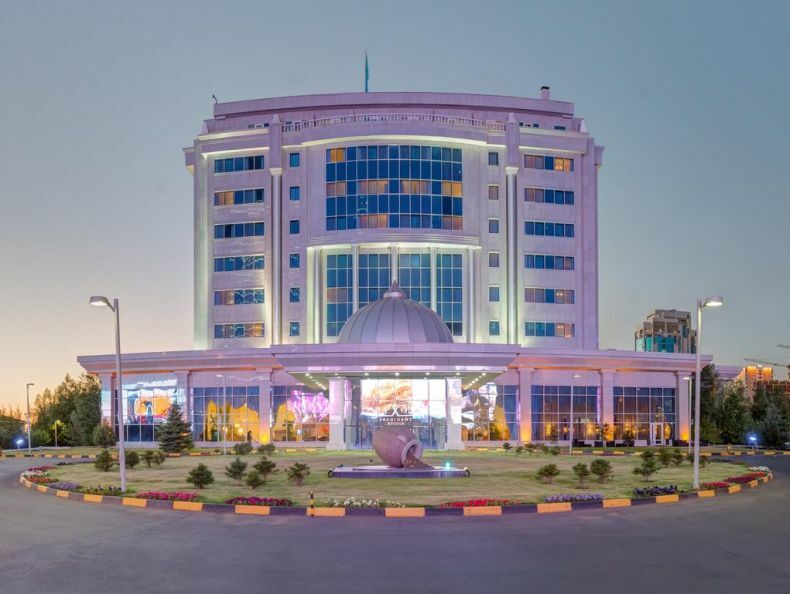 The hotel is located in Astana’s administrative centre, just a 5-minute walk from the House of Ministries and the Ak Orda Presidential Building. Every room at this hotel is air conditioned and is fitted with a flat-screen TV and a minibar. Certain rooms feature a seating area where you can relax. The rooms are fitted with a private bathroom. For your comfort, you will find a hairdryer, bathrobes, slippers and free toiletries. The spa centre at Ritz Carlton Astana offers a variety of beauty treatments, massage and saunas. Guests can energise in the on-site fitness centre. The hotel also offers car hire, and there is a business centre at the property. Bayterek Monument is 600 m from The Ritz-Carlton, Astana, while Nurzhol Boulevard is 300 m from the property. The nearest airport is Astana International Airport, 13.5 km from the property. The hotel's interior design combines modern features with references to Kazakhs’ nomadic history. A flat-screen TV with cable channels, as well as an iPod docking station are offered. All rooms have a separate living room and a signature St. Regis Bed. A private bathroom with a bath and bidet, with bathrobes, slippers and free toiletries are provided. Superior rooms include a sauna or a spa bath. Iridium Spa offers a range of different beauty and wellness treatments. Swimming pool and fitness centre as well as a sauna are offered to guests on site at St. Regis Athletic Club.